This is one of the most magical and exciting times in your life, but also one of the most mentally, physically and financially challenging. 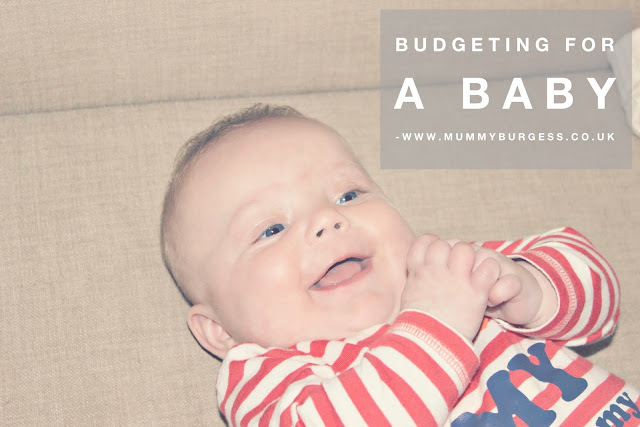 With a million and one things probably on your mind, this advice will guide you on how you can set a budget ahead of your little bundle of joy. Whether you have just found out you are expecting or you are planning ahead, for a month or so monitor where your money is going. Is what you are spending essential? Having an idea regarding your spending habits is essential in order for you to budget successfully. For example could you save money by cutting out a weekly takeaway, or trip out with friends and maybe change it to monthly instead? Say you were spending £30 on a takeaway every week that tally’s up to £1,560 a year, that’s a lot of money that could go towards your little one instead. Finding out how much your little one could cost you seems like a daunting task and one you feel you want avoid, but finding out the expenses can help avoid big shocks when your bank statement comes through at the end of the month. With help from the baby cost calculator you can find out the average of how much you are likely to spend within the first three years, with childcare being the most expensive costing up to £10,000 a year. With babies constantly growing, their clothes don’t last long, so a great way to save money on this is to either ask friends and family for clothes their children have grown out of that can be handed down to you or if you have had a previous child keep their clothes and reuse them for your newborn. Look on your local selling sites such as Facebook or sites such as Gumtree for reusable items such as clothes, toys and furniture. You are sure to find a bargain on these sites and most of the times the items being sold are still in great condition. A little something for you too, a site called freecycle, this is a group set up where people can give away items such as maternity clothing for free. As we have found out the average cost of childcare can reach £10,000 a year but just recently the government have brought in new schemes enabling children between the ages of 3 and 4 to access 15 hours of free childcare a week which on average saves £425 a year. From 2016 this could increase to 30 hours to help parents get back to work. You can also ask friends and family to help out, family will love spending time with your little one and you can always help friends who have children out when they need a hand too. There are some items that should always be brought new such as car seats to ensure they haven’t been in a previous accident, as if they had been they are no longer safe and won’t provide full protection for your child. Also items such as bedding and shoes so you can be sure they are clean and hygienic for your baby. Try not to buy too much at once, buy all the essentials that your baby is going to need within the first few months and buy everything else gradually over the months. For example, a baby doesn’t need a high chair for the first couple of months. This will provide you with a few more months of saving. Finally, have a look through newspapers and magazines for coupons or deals, there may even be discounts online that you can’t get in store. Enjoy your little one and don’t stress too much about them not having the most up-to-date items of clothing because when they are young all they want and need is you.